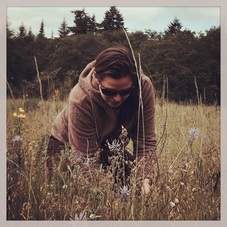 *Jasmyn Clift is a clinical herbalist, gardener, wildcrafter, witch, flower- essence practitioner, and animal lover. 17 years ago she cofounded the BC Compassion Club Society Wellness Center in Vancouver B.C. The BCCCS WC is a bustling not-for-profit healthcare center offering low-cost alternative care to those who fall through the mythical Canadian safety net. Passionate about client-centered herbal practice and harm reduction, she developed a huge ethical, affordable herbal dispensary. 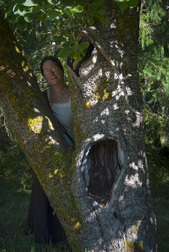 She is also founder of the wild seed school of herbal studies on Saltspring Island, B.C. She holds in gratitude her many teachers, including Michael Moore, Adam seller, her clients and students, and most of all the plants themselves. *Sean Donahue teaches western herbal energetics and phytochemistry at Pacific Rim College on unceded Lekwungen territory in Victoria, BC. He is an initiated priest and holder of the Green Wand in the BlackHeart line of the Anderson Feri Tradition. He is dedicated to the re-enchantment of herbalism and the re-integration of medicine and magic in the service of personal, community, cultural, and ecological healing. *Joyce Netishen I am the owner and caretaker of Fire Rose Farm, a small abundant, beautiful and inspired herb farm where wondrous and magical things happen. I am a healer in a busy private practice for almost thirty years working with the plants, the spirits, and the Elements of Nature to bring insight , beauty, and healing to people... and to the world. I'm a keeper of the Sacred Fire, a lover of roses, and have completed two twelve year apprenticeships with the late Guadalupe Gonzales Rios, a Huichol Shaman and Elder of Mexico. I'm a dedicated medicine maker and offer an exquisite line of Fire Rose Farm Flower Essences and other handmade herbcraft and magnificent rustic soap. I teach classes and apprenticeships about the spirit of plants and other powerful and profound forms of invisible medicine. Hey Kumar Hey... Long live the magical purpose. *Paul Bergner has studied and practiced natural medicine, medical herbalism, clinical nutrition and nature cure since 1973. He is director of the North American Institute of Medical Herbalism in Portland, OR where he offers seminar training in clinical skills, medical herbalism, nutrition and nature cure. He supervised a teaching clinic in medical herbalism and clinical nutrition in Boulder, CO from 1996 until 2013 and has published and edited the Medical Herbalism journal since 1989. He has authored seven books on medical herbalism, clinical nutrition, ethnobotany and naturopathic medicine. *Maryann Abbs works as a clinical herbalist at the BC Compassion Club Society's (BCCCS) Wellness Centre located in Vancouver, Unceded Coast Salish Territories. She feels honoured to work at a clinic where herbalism is available to folks who would not otherwise be able to financially access herbs. Her teachers include Dominion Herbal College (clinical program), Netta Zeberoff, Michael Moore, and her grandma. 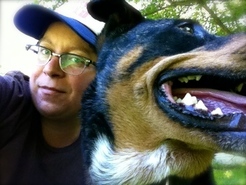 Maryann is also a wildcrafter, community educator and organizer, and anti-mining activist. Portland OR, which has been training community herbalists since 2007. Erico has been working with plant medicines since 1994. His early studies with the beloved Michael R.S. Moore led to his continuing practice of clinical herbalism, wildcrafting, teaching, and working with clients and communities, holding a path towards regional, accessible, empowering herbalism based on traditional principles. Erico finds that when we work seasonally with locally available plants that have discovered how to thrive in our bioregion, we learn to perceive the many voices that teach us how to integrate our own health into the life of the land around us. 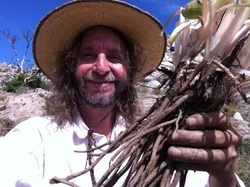 He is deeply committed to sustainable directions for community health and operates communityherbalism.com. Erico's herbalism workshops have been featured at the Breitenbush Herbal Conference, the Northwest Herbal Fair, the Dandelion Seed Conference, Tryon Life Community Farm, the Portland Plant Medicine Gathering, the Clary Sage Herbarium, the Herbe Shoppe, and the Montana Herb Gathering. 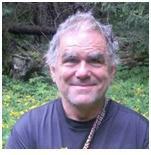 He is a board member of Tryon Life Community Farm and of the Olympia Free Herbal Clinic. 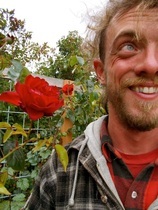 *Sean Croke is a wildcrafter, medicine maker, and gardener who has been working with the plants of the Pacific Northwest for eight years. He is a co-founder of Understory Apothecary which produces small batch tinctures of local herbs, and is also involved in Cascadia Terroir which produces essential oils from native plants. 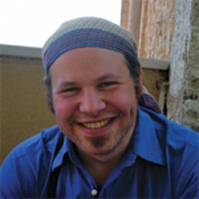 He is a graduate of The Evergreen State College with a BA/BS where he focused on Ethnobotany and Organic Chemistry. He is currently studying wildcracafting and plant spirit medicine with the School of Forest Medicine. 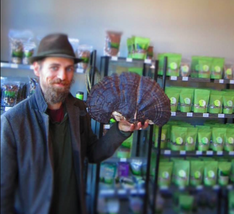 Sean can be found vending at the Olympia Farmer's Market, is involved with the Olympia Free Herbal Clinic, leads classes in the Olympia area, and would love to help out in your garden. from 1994 until the summer of 2011. She is a member of the Nansemond Tribe. blog, Gold Roots & Threads, can be found at www.goldrootherbs.com. Traditional Western Herbalism. She lives in Portland, Oregon where she works at Virginia Garcia Memorial Health Center where she works primarily with migrant, Spanish- speaking, and low income patients. *Tracy Heron-Moore is a community herbalist, a bodyworker, a painter, and a mother. She has been working with herbs since her calling came in 1997. 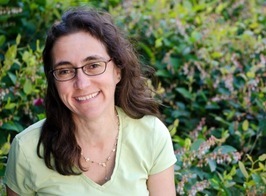 She is a graduate of the California School of Herbal Studies (2002), the Port Townsend School of Massage (2007), the Evergreen State College (2008), and a 700-hour training program in Biodynamic Craniosacral Therapy (2013). Tracy is currently a substitute practitioner at the Olympia Free Herbal Clinic. 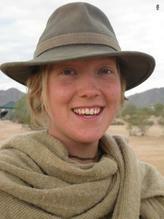 *Erin Vicha is a wildcrafter and medicine maker living in the beautiful Tarboo Valley. 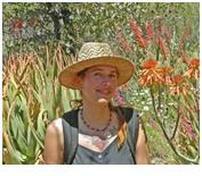 She first started exploring herbal medicine through her relationship with native plants. She then became a medicine maker and lab manager at Heron Botanicals. 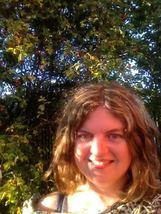 Recently she has gone back to her wildcrafting roots and has been focusing on her business Tarboo Wildcrafting and on experimenting with different kinds of herbal preparations at home. *Nome McBride is a naturalist and herbalist, dedicated to preserving ancient wisdom through incorporating it into contemporary culture.Nome owns and runs American Herbal Dispensary, Inc. and its brand Pharmacopia Herbals. The product line focuses on a bioregional apothecary to educate about wildcrafting as land restoration. 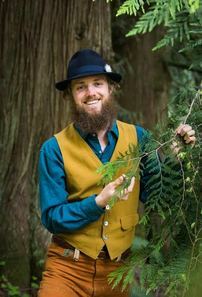 He cofounded the Northwest Sustainable Wildcrafter’s Guild to guide sustainable and ethical wildcrafting in the Pacific Northwest. He also is a cofounder and a faculty member at the Institute of Contemporary Ethnobotany (ICE), a teaching institution dedicated to connecting People, Plants, and Place. Nome teaches about ethical wildharvesting, plant medicines and curing with nature at herbal conferences, gatherings and universities across the region. His current research interest is the ancient traditions of healers from around the globe, with a focus on traditional ways of the tribes of North and South America. He lives in the Columbia Gorge with his beautiful son, Tulasi, where they explore the mountains and learn to see all of life as a gift of medicine. 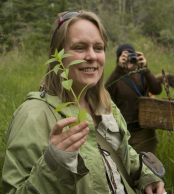 *Angela Willard received her Clinical Herbalist Diploma from the Wild Rose College in Calgary, Alberta, Canada in 2005. 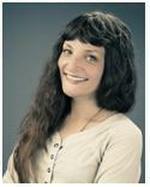 She has since been in practice as an Herbalist through many avenues including consulting, growing herbs, wildcrafting, and co-creating the Harmonic Arts Botanical Dispensary which offers a full spectrum variety of herbs, herbal preparations, and superfoods, as well as information that empowers people to live with integrity to their highest potential. *Meg Cur is a plant lover and collaborator, who has immersed herself in wildcrafting for the past 5 years, and studied clinical and folk herbalism. She is a co-creator of Thirteen Moons Apothecary, a small herbal apothecary wildcrafted across the Pacific Northwest, which is a sorry excuse for a business but a handy medium for sharing medicine. *Ga Ching Kong I am a Chinese, English and Irish acupuncturist, plant person and general community type with some scrappiness in her about race and greed and colonization, who has been on a spiritual cleanse for a heck of a long time and wonders when flavor will re-enter her daily regime. I have been working for my whole life to grow a medicine inside of me that answers questions about justice and living better on the earth. These questions won’t let me rest and neither does the medicine. My first work was in Vancouver’s Downtown Eastisde, and since then, I’ve worked as a residential school therapist, youth worker, and teacher of yoga, plants and academics to all kinds of people. I work with folks who need a soft place to land – from small aches and pains and stress, to chronic illness, addictions, and trauma. I left the city last year and my beautiful free clinic in Victoria, BC, to run a community acupuncture clinic in a giant old mansion in small town, farmy Duncan, BC, and to work on reserve with my medicine, plant spirits and Coast Salish people. *Thea Schnase is a community herbalist at the Olympia Free Herbal Clinic, where she is lucky enough to get to help connect people with the healing wisdom and generosity of the plants. She first fell in love with plants while exploring the woods of southwest Washington with her grandpa, who was her earliest teacher. Along with being an herbalist, Thea is also a social worker and a doula, and is dreaming up ways to weave these three things together. 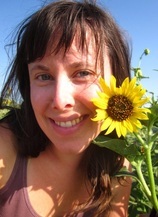 *Orna Izakson is a writer, gardener, herbalist and naturopathic physician in Portland, Oregon. She runs a solo naturopathic practice in Northeast Portland, is Lead Physician of the Traditional Roots Institute at National College of Natural Medicine and recently joined the board of advisors of the Herbal Anthropology Project. Orna is an award-winning environmental journalist who worked as both a staff reporter and freelance correspondent for newspapers, magazines and online media. Her love for wild places brought her to the plants, for whom she now endeavors to speak. *Traci Picard A lot of my work is secretly play. I play with plants as the farmer, wildcrafter and formulator of Fellow Workers Farm apothecary. I play with words as a writer, editor and proofreader. I play while leading classes or workshops about movement and herbalism, plant exploration and critical thinking. 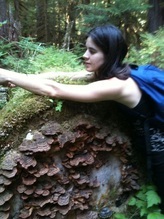 I play with my food, foraging for fungi and wild roots. I play with dogs as a foster and rehabilitator of shelter dogs. And I play as a Mom of 3 kids, when I have the chance. *Elizabeth Campbell is a Spokane Tribal Member who grew up harvesting native foods with her family. She now specializes in growing and teaching about healthy foods and traditional plants for medicine. In 2008 she received a BA from the Evergreen State College with a focus in Education and Native American studies. 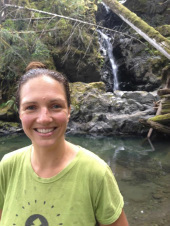 As a Traditional Plants Educator for the Northwest Indian College, she teaches traditional medicine making classes in tribal communities throughout the Pacific Northwest and runs an organic farm with her family in Shelton, Washington. *Rhonda Lee Grantham: As a Native American woman (Coastal Salish/Cowlitz) and International Midwife, Rhonda has always been drawn to traditional plants, foods, and medicines as the sustainable, truthful medicines of every community. Here at home, she is thankful for her teachers; which include tribal elders, the Center for World Indigenous Studies and the Northwest Indian College. And though she feels strongly connected to both her ancestral roots and a sense of community, she confesses an insatiable desire for world travel. She feels that the combination of her own cultural identity and pride, along with her training in midwifery, anthropology and global health- has all led her on a path towards supporting the work of programs that empower Indigenous Midwives as they serve their own communities. Follow her on Facebook at ‘Wild Rose Midwifery’ or she can be reached at wildrosemidwifery@gmail.